So I planned for a trip down memory lane. It was totally unlike what I had in mind. There were so many changes to the place where I used to live. It’s kebab, naan, samosa, and the like. There was only one butcher selling pork in the local market and the clothing stores contained an amazing array of beautiful sarees, punjabi outfits and similar cloth which could be sewn up into colourful displays of the culture now more prominent. It’s enlightening. It’s more affluent. It’s a new east end of London. 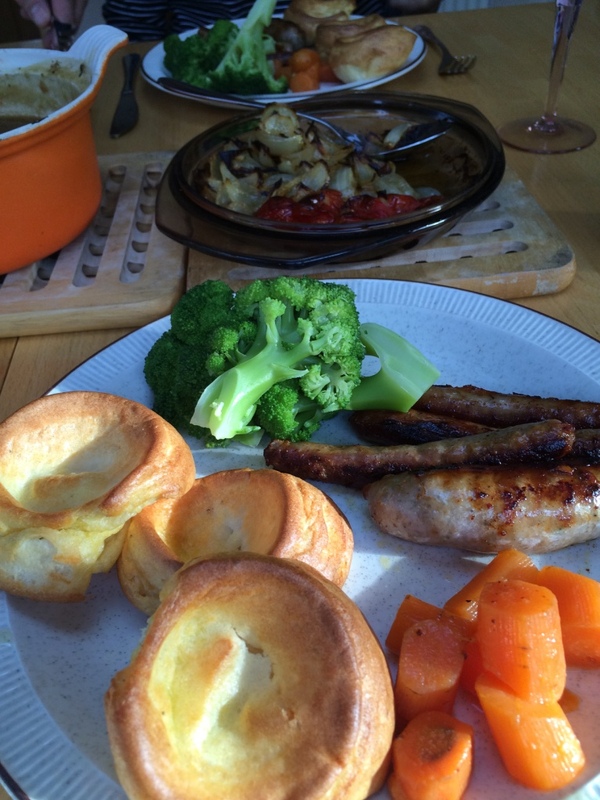 Back at our friends’ home, it’s the usual English fare – bangers and not mash, but a typical Yorkshire pudding. The vegetables are boiled and they hold their natural taste without the added rich spices that one would find the neighbours using. I thought I would be re-visiting the place I called home for more than a decade. Instead I found myself in a totally different world and life despite the familiar road names. This is turning out to be a real holiday – a home away from home! This entry was posted on 25/06/2015 at 22:43 and is filed under Travel. You can follow any responses to this entry through the RSS 2.0 feed. You can leave a response, or trackback from your own site.